My wife Gina, along with co-running the business, is a school nurse in Clifton Park. We both love reaching out to the youth and before sweeping chimneys I was a youth pastor for five years. We know that what we do is important and keeps your family safe. That’s why you can trust us to provide an honest evaluation of your chimney and dryer vent at a competitive price. 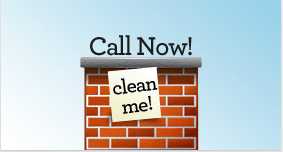 Saratoga Chimney Sweep is run out of Wilton, NY and we serve Saratoga, Washington and Warren Counties. Thanks for visiting us and we hope to hear from you soon.